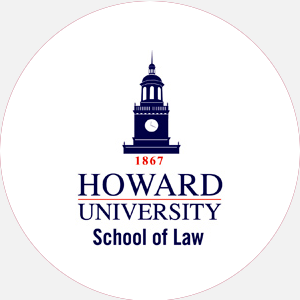 Howard University School of Law (HUSL) is a three-year, private, coed, professional law school found…. Howard University School of Law (HUSL) is a three-year, private, coed, professional law school founded in 1869 as the law department of Howard University. It became the School of Law in 1908. HUSL’s mission is to provide a legal education that trains students to think critically and independently. Its broad-based program encourages students to explore new ideas. Its clinical experiences serve to provide actual courtroom training. Clinical experiences are offered in criminal justice, labor law, equal employment opportunity, elder law, and landlord and tenant law. According to the School, 35 percent of all black lawyers are Howard graduates. The law school is located on the west campus along with the Howard University Press and several other institutes. The main campus comprises the graduate school and the University’s seventeen other schools and colleges. In addition, 108 acres owned by the University are located in nearby Beltsville, Maryland, and are scheduled to be developed as a campus for research in life sciences and training in veterinary medicine. Howard University School of Law is accredited by the American Bar Association (ABA) to award the Juris Doctor (J.D. ), joint Juris Doctor, and Master of Business Administration (J.D./M.B.A. ), and Master of Laws (LL.M.) degrees. Merit-based scholarships are awarded to 60 incoming first-year J.D. students with outstanding academic credentials. Awards range from 00 to ,000 and are renewable for two subsequent years. Each student is considered for awards upon acceptance. Need-based grants are offered to a limited number of J.D. students based on financial need. Students must complete the HUSL financial aid application by March 1 of their freshman year. Grants range from 00 to 00. LSAT (152); UGPA (3.0) Graduation from an accredited four-year undergraduate program, undergraduate GPA and LSAT scores used for admission, official transcripts of all college work and completed dean’s survey, two letters of recommendation from previous institution (recommended by teaching faculty members), personal essay, resume. Separate application required for the law school and business administration school J.D./M.B.A. joint-degree program. A application fee, four self-addressed stamped postcards, and a completed address label sheet are required. Admission Application Deadline: March 31 Admission Contact: Dean of Admissions, Office of Admissions, Howard University School of Law, 2900 Van Ness Street, NW, Washington, D.C. 20008; Telephone: 202-806-8008. Thesis required for some programs; must be enrolled at Howard during last semester. Total enrollment: 450 Other regions: Throughout U.S. and several international Ethnic/racial makeup: African American, 349; Asian, 36; Caucasian, 15; Native American, 3; International, 47. Campus Services: Personal and psychological counseling, career planning and placement, tutoring, low-cost health insurance. Campus Activities: HUSL provides students with lectures, mock trials, and clinical experiences. Student publications include the Howard Law Journal and the Barrister newspaper. Leadership opportunities can be found in the Student Bar Association or the numerous other clubs and groups including the Black Law Student Association, Women in Law, the Christian Fellowship, and the International Law Society. Fraternities include Phi Alpha Delta and Phi Delta Phi. Housing Availability: Limited housing-rooms and apartments available for single and married students; most students live off campus; deadline for housing application is April 30.